Distribution Network Service Providers (DNSPs) in Australia are facing a stakeholder engagement logjam thanks to the electricity pricing reform enacted by the Australian Energy Regulator (AER), as suggested by the Energy Australia Network (EAN). As the first movers, the Victorian DNSPs were required to submit Tariff Structure Statements (TSSs) to the AER for approval, to apply for from three to five years. The TSS requirement implies the broad engagement of all a DNSP’s stakeholders, including customers, retailers, regulators and other government organizations. Be flexible and tailor our engagement and communication to meet different stakeholder needs and our various decisions, activities and processes. Take steps where needed to build knowledge and capacity to help stakeholders to engage. In the end, AER guidelines call for clear, accurate and timely stakeholder communication that is accessible, inclusive, transparent and measurable. What’s a DNSP to do? Knowing that you need to constantly engage with thousands of various stakeholders (customers, consumers, users, retailers, etc), in the manner they prefer, with complete transparency plus the ability to prove that stakeholder input has been incorporated into changes can seem daunting. Certainly engaging on a regular basis with potentially large and multiple different groups of stakeholders requires planning. As a first step, many DNSPs will mobilize teams and put in place multiple ways of getting feedback from stakeholders: focus groups, online surveys, face-to-face meetings, forums, etc. After all, ensuring stakeholder views and opinions have been considered in the TSS process is a top priority. Visibility into all the information collected? Confirm adherence to the plan – engaging with important stakeholders on the established frequency plus follow-ups and responses? Ensure that teams follow the priorities and engage effectively with stakeholders? Demonstrate the outcomes of these engagements and prove that you are addressing the concerns of stakeholders? The information is highly complex. Consumers’ energy bills are modest in comparison to their household budget and it’s an unavoidable cost. Limited importance and lack of choice leads to apathy versus engagement. Lack of transparency related to feedback provided by the consumers. They don’t see how their views affect the outcome, which makes them less inclined to engage in the future. The risks are high. Consumer behavior is evolving to be more mobile and social, therefore more visibly reactive. This creates the potential to adversely impact your brand and your business. Identify your stakeholders: customer types—residential; small and medium enterprises; commercial and industrial; retailers; AER; Government; major energy users. Group stakeholders and assess their importance. All of these groups will have completely different points of view on energy consumption and the purpose of their consumption, so they require distinct strategies and tactics. – The pricing structure may be difficult to understand and measure. – Different groups of stakeholders may not understand why change is necessary, or even that the energy costs in Australia are not in keeping with that of other developed nations. – Different groups of stakeholders will look at Tariff flexibility differently. Once your strategies and key messages are drafted for each stakeholder group, be sure to link them with the tasks and workflows required to execute. This will help keep teams on track. Capture all of your various teams’ engagements across the multiple stakeholder groups; be sure to include feedback and your response. It will be important for your team to centralize the information in the same place, even if they are in different departments and locations. Be sure the platform allows for the easy capture and analysis of all of this data. Generate reports from the engagement data included in your platform, targeted to the different stakeholder groups to ensure they know that you’ve heard them and altered your program thanks to their feedback. Finally, use this data as part of your TSS. Sound simple? Stakeholder engagement technology has evolved to make complex processes simpler, by connecting strategy to execution, including workflows and automated data capture, plus analytics and reporting. All from a single, leading platform: Boréalis. If you need help with a complex stakeholder engagement program, please feel free to reach out for some advice. A: 2016 Ministerial Order under Section 16BA of the National Electricity (Victoria) Act 2005 made 18 April 2016 and published in the Victorian Government Gazette G 16 on 21 April 2016. Francis has developed extensive worldwide expertise in stakeholder engagement information management and systems implementation over the last 7 years at Boréalis. After 6 years as the Manager of the Customer Care team, he decided to take on a new challenge as an Account Director. 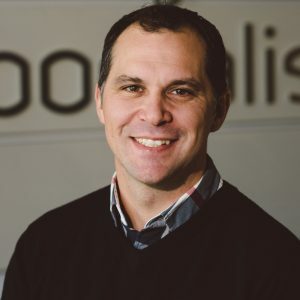 Francis started his career 20 years ago as a Developer, to then complete a degree in geographic information systems (GIS) and a Master’s in Business Intelligence. His complex problem-solving skills and willingness of always improving things contributed to deepen his knowledge and expertise. Francis can discuss with you in French or English. Outside of work, he loves being on the lake to catch big bass, cooking on the BBQ, and growing beautiful flowers!